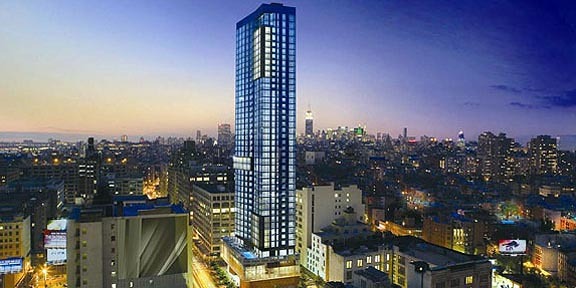 The construction of this one of a kind condo hotel is setting high standards in the Big Apple. Buyers have been waiting more than 18 months to acquire a unit in the exclusive building from one of the first price lists. And they have good reasons for this. 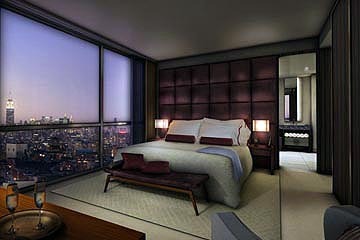 Being in the heart of New York’s thriving SoHo district, Trump SoHo is a project that offers an incomparable location. Not only does the hotel have extraordinary, never-before-seen features, but it also sits at the perfect angle in Manhattan. The project will be a new, expectation-exceeding element in the new skyline of the city of high-rises. Panoramic 360-degree views over the vivid city will allow you to enjoy the Statue of Liberty, the Hudson River, the Empire State building and the impressive silhouette of the NYC skyline. The uncountable benefits the city of New York offers are secret to no one. Not only is the Big Apple the finance capital of the world, but it also functions as the international epicenter of power, fashion, art, and glamour. Moreover, the 46-story Trump SoHo is the first mega-project that rises to this incredible height in and around SoHo – the silhouette of this traditional New York district has been redefined. As known by New Yorkers and NYC lovers, connoisseurs and visitors, the legendary SoHo is no longer solely the artistic community it used to be until a few decades ago. SoHo has now been transformed into a conglomerate of galleries, exclusive shops and posh restaurants, alternating with luxury lofts that are inhabited by artists, executives, and jet setters alike, who are now frequenting the streets that continue to offer much charm with their bohemian atmosphere. The success of a project of such magnitude as Trump SoHo does not solely depend on its strategic location or its amazing height. The development is the result of a combination of valuable resources such as the creativity and talent of several of the most prestigious companies worldwide, which convert the building into a one-of-a-kind project. It is developed with a joint effort among The Trump Organization, the Bayrock Group and the Sapir Organization; designed by Handel Architects, and has Prodigy International and Core Group Marketing jointly heading its marketing and sales. “Trump SoHo will offer one of the most luxurious experiences worldwide,” says magnate Donald J. Trump, whose investments extend from the most important US cities to Latin America and the Middle East. Bayrock Group is an international real estate investment and development company that specializes in luxury residential and commercial real estate, as well as hotels and mixed-use properties. In the US, Bayrock currently develops projects in New York, Florida, and Arizona. Through its affiliation with the successful company Rixos, Bayrock also owns and runs nine luxury resorts in the Mediterranean and other desired locations in Europe. The Sapir Organization holds an ample investment portfolio in New York, where the firm is well known for its credibility and experience. The company is run by the versatile entrepreneur Alex Sapir, the sixth largest landowner of New York and the 160th richest man in the United States, according to Forbes Magazine. Handel Architects is an architecture company that offers integrated services, with more than 100 architects, interior designers and professionals out of their SoHo and San Francisco locations. Founded in 1994, Handel Architects in a renowned market leader in the areas of mixed-use property design, hotels and residential living, with more than 13 million square feet of constructed space. Located at 246 Spring Street, Trump SoHo Hotel Condominium will be Trump’s flagship in this downtown neighborhood, the first of its kind in SoHo, with all its unparalleled characteristics of luxury life and convenience. 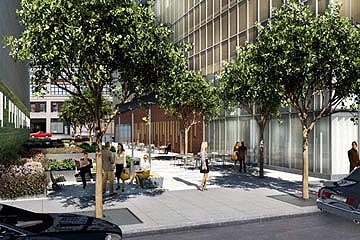 The breathtaking tower rises 46 stories high at the corner of Spring and Varick Streets. Internationally acclaimed architecture firm The Rockwell Group will design the fully appointed guestrooms and suites of Trump SoHo Hotel Condominium New York. 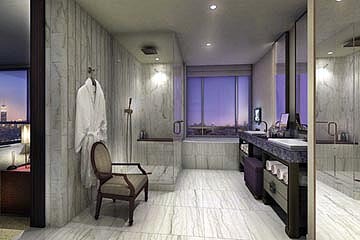 Donald J. Trump states “David Rockwell's conception of Trump SoHo interiors is spectacular”. 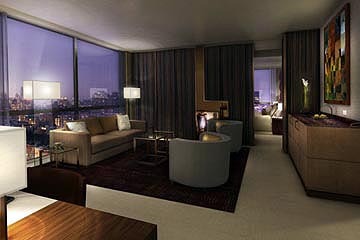 The guest rooms and suites will be completely furnished, inspired on classic tradition and reinterpreted with downtown ambience to include fine leather panels, marble flooring, expansive bathrooms with exclusive bronze accessories, stone countertops, exquisite bathtubs and glass enclosed rain-showers. 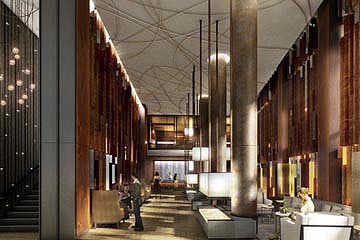 All guest rooms, suites and common areas will have integrated capacities for entertainment and technology, some will also be designed with special acoustics. A few of the building’s great amenities include: a private library, about 12,000 square feet of conference facilities, an exclusive executive center, a luxurious spa (about 6,000 square feet) as well as a world class restaurant. Trump's signature style will also boast its well known ""white-glove"" service and the building will include a sophisticated security system fully in place. Reviewing all these aspect plus the talent behind this ambitious project, Trump SoHo is sure to be a new milestone in New York.